Breathing is something that is easy to take for granted. After all, taking a breath is the first thing we do when we're born and it's our last act before we die. Breathing is so simple, and you don't have to think about it to do it, because it happens automatically. But just because your unconscious can handle breathing for you, doesn't mean you should always let it. By becoming conscious of your breath, and breathing with awareness, you're able to tap into many benefits. Is it shallow or forced? Deep or relaxed? Slow your breath down, and breathe deeply into your abdomen, subtly shift your breathing to allow it to flow more effortlessly and deeply to increase your present moment awareness. 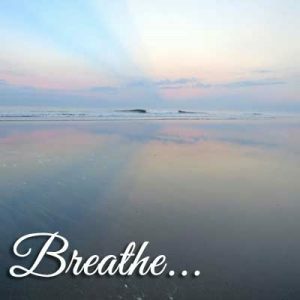 When you're stressed, frustrated or worried, breathe deeply and consciously. Your breath will help to calm your worries and refocus your attention in the present moment. When life seems to be moving too fast, and you get caught up in the chaos, step back and breathe. Each deep and deliberate breath will help you to slow and calm down so you can consciously respond with love. When you're feeling unmotivated or unfocused, take a few minutes to just be and breathe. Your mind will become clearer and you'll then be able to get back into what is actually important for you to be working on, rather than being bogged down in the clutter. Breathing consciously fills your body with oxygen and supports you in raising your vibration and progressing on your spiritual path. Do you ever feel nervous in social situations, or before a meeting, call or interview? Take a few minutes to consciously breathe. Focus entirely on your breath, on breathing in love and light, and letting go of all stress, tension or nervousness..
A simple breath meditation is one of the best ways to let go of mind chatter keeping you awake. Focus your mind on your breath. Notice and be aware as you breathe in air, and as you exhale. When you focus entirely on your breath in this way, your mind becomes still and calm, so you'll be able to fall asleep. Be present and aware in the moment. The present moment is where all the action is. 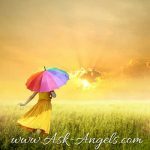 Right here and now is where you are able to learn to hear your angels, open to your psychic gifts and abilities, make meaningful connections with others, and experience the magic of life. Getting lost in the clutter of mental thoughts blocks you from the magic of life. But when you focus on your breath, you clear your mind of distractions, and from this present moment state of awareness you're able to tune in. Consciously breathing is simple, powerful, and it's completely free. Take a few breaks throughout your day to just be and breathe. Breathe in and become aware that you're breathing in. Breathe out and become aware that you're breathing out. When you do this, you'll find you not only get more accomplished in your day, but you're able to stay in joy and love much more easily as well. 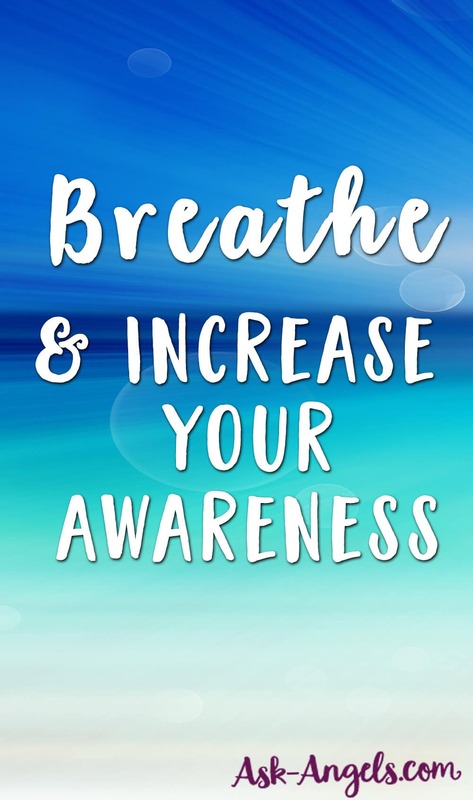 Breathing with awareness, and returning your focus to your breath time and time again will help you to energize and rejuvenate your being, and to expand your consciousness. Breathe and enjoy this moment… This moment is your life! Am very happy with your blog Melanie, may the lord bless you and expand your borders as you continue with your business of being the light of the world. So glad to hear Lukman 🙂 Many blessings! Dear Melanie, how good to be reminded on those qualities of conscious breath, that I learnt years ago, already. Sometimes, today, I feel really exhausted, like probably many of US, and like St. Peter after Jesus’ death, so he didn’t anything want to do than what he was unconsciously doing always in his life, say: he went fishing. His “spiritual guide” and Master, Jesus, appeared then on the shore, encouraging them to try again, because they were without hope, nothing having catched before. Turning towards His appearance, yet, believing what He told them to do, they brought in 153 fish finally. And that’s breathing: being aware of God’s presence, who gave us the Spirit, and that’s also, what Eckhart Tolle names ‘Presence’.